Our water gurus work with you to select a bottle-less solution to fit your office size and all your requirements. Our certified technicians will connect our bottle-less water coolers to your existing water supply, providing you with an easy, worry-free installation. 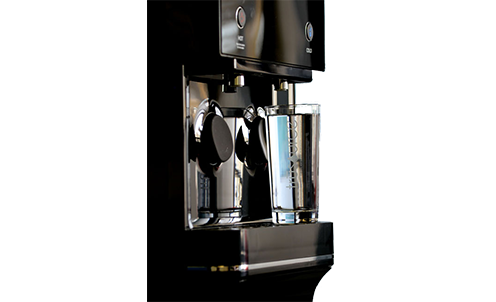 Employees and clients enjoy an endless supply of pure hot and cold water, due to our reverse osmosis dispensers. Never be charged for a service call again. Our service includes all filters and maintenance. No huge plastic bottles. No back-breaking containers. Stop dealing with over-priced deposits, disruptive water deliveries and the maintenance headaches that come with 45-pound plastic jugs and traditional water filters. 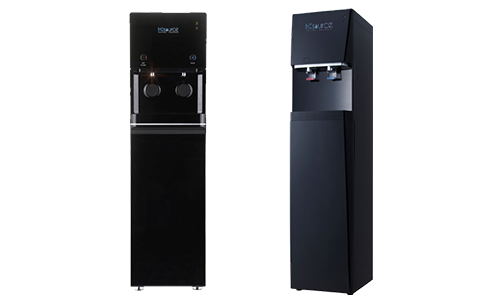 Trusource water purifiers are elegant, stand-alone units that connect to your municipal water supply. They are self-cleaning, and never run out of water. Traditional water filters trap a limited type of sediment. Reverse Osmosis purification eliminates potential contamination at a microscopic level. Your drinking water will taste fresh, as nature intended. Our unique technology provides better water and reduces your carbon footprint. Here is what some of our clients are saying. – Neil, Canon Canada Inc.